Fi Asia brings together the leading food and beverage professionals from all over the world. 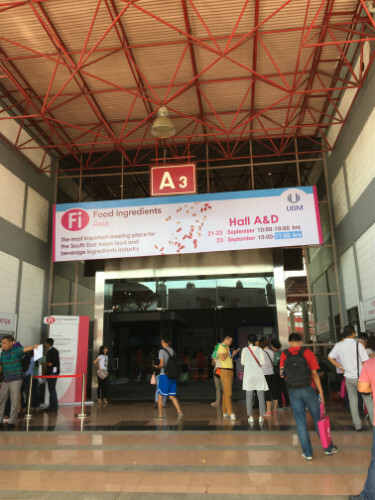 This year, Fi Asia welcomes you together with over 15,000 attendees and more than 650 leading food and beverage suppliers to Jakarta, Indonesia. Participating ingredient suppliers and distributors describe the show as 'the place for the food industry our latest innovations' and find 'all potential partners' across three days in just one location. 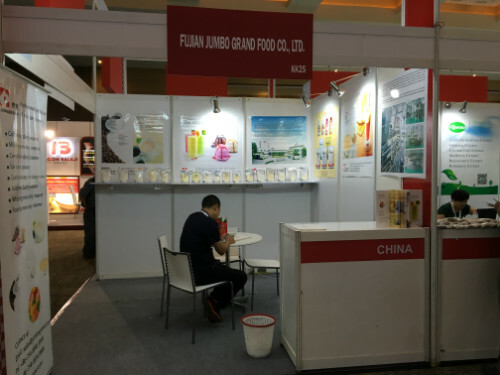 we, Fujian Jumbo Grand Food Co Ltd attend 2016 Food Ingredient Aisa exhibition in Jakarta. Our booth no. was KK25 in D hall. 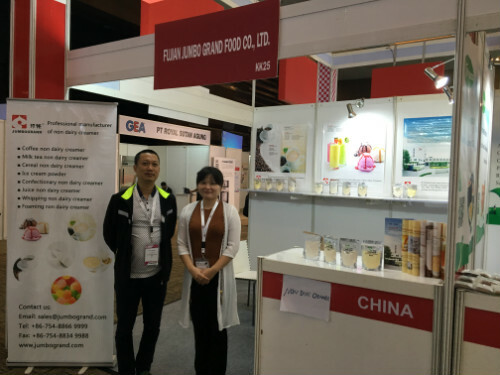 Fujian Jumbo Grand Food Co Ltd is professional nondairy creamer manufacturer, the products attracted peoples come to the booth and gained a lot of good feedback. Next : 2016 Hotelex Fine Food Expo Shanghai 29th Mar.- 1st Apr.